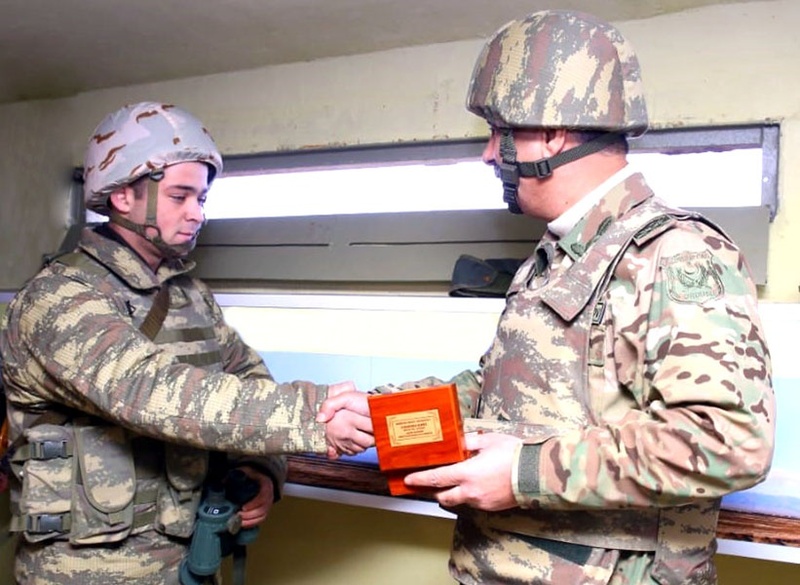 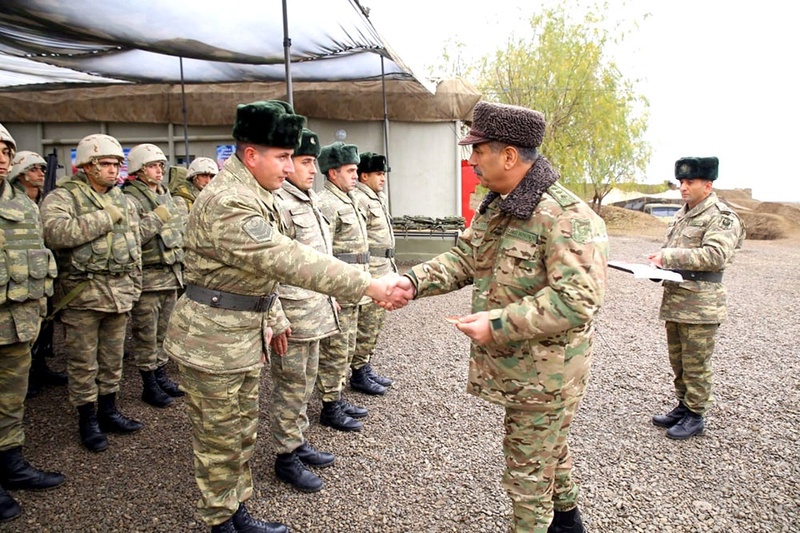 Azerbaijani Defense Minister Colonel General Zakir Hasanov and the ministry’s leadership visited foremost military on December 5, reported the Defense Ministry. 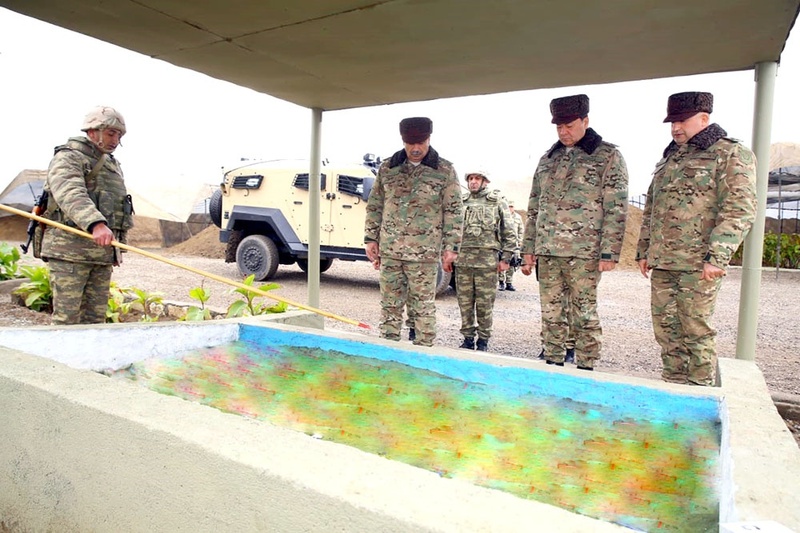 The Defense Ministry’s leadership is on a visit to the frontline zone under the instructions of President of Azerbaijan, Supreme Commander-in-Chief of the Armed Forces Ilham Aliyev. 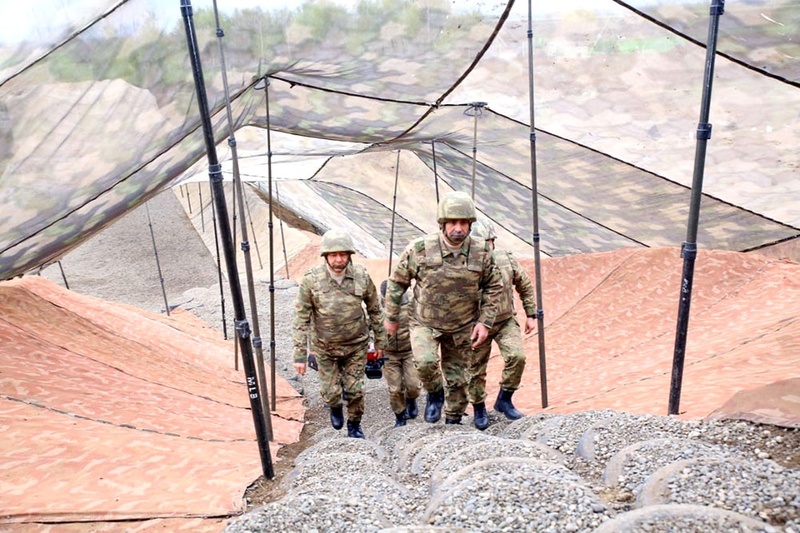 The operational situation on the terrain model board was reported to the defense minister and the combat readiness of the units was checked. 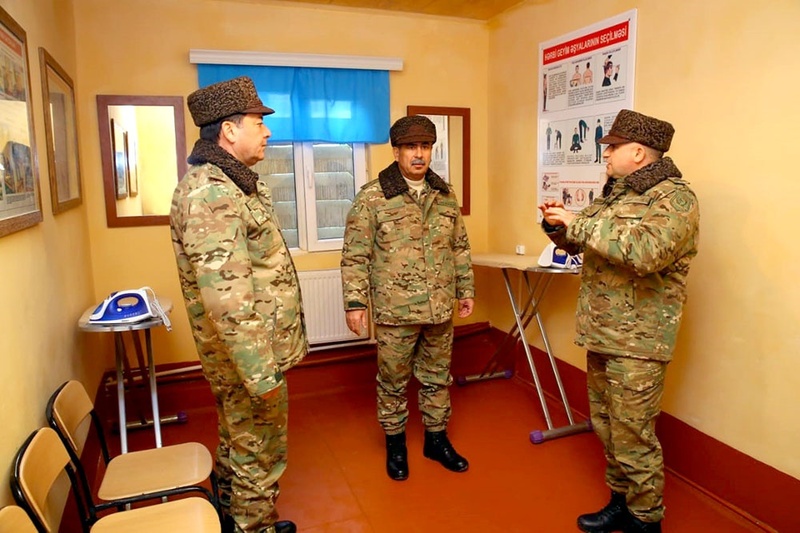 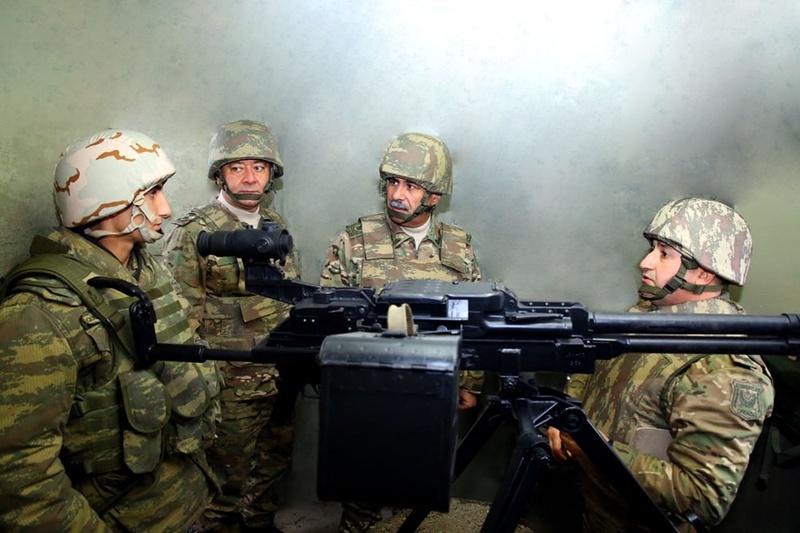 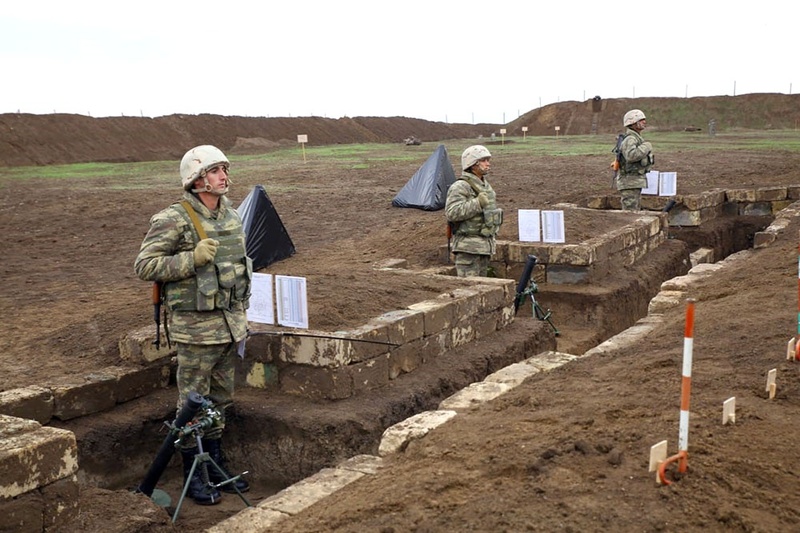 Observing the position of the enemy from the observation post, created with the aim of better organization of battle defense and increasing the defense stability, Minister Hasanov gave relevant instructions in connection with a more efficient organization of service using modern technical means. 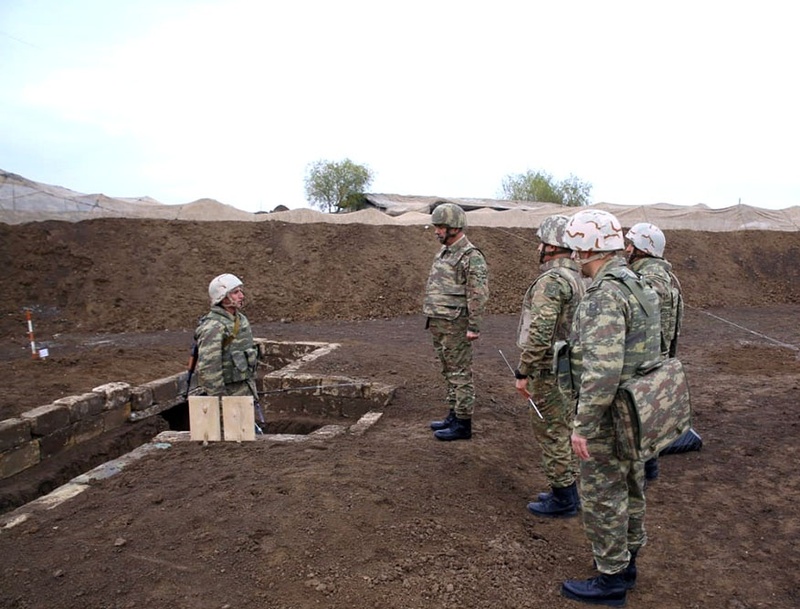 The minister met with military personnel working out combat missions at one of the training sites located on the front line, and awarded servicemen who distinguished themselves in service and achieved high results in combat training. 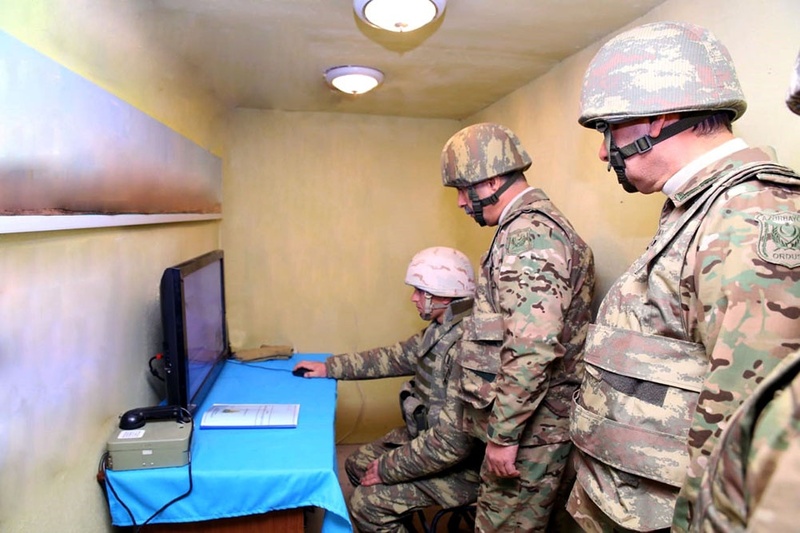 The minister also got acquainted with the logistic support of the units, weapons, and military equipment, including moral-psychological training and social conditions of the military personnel. 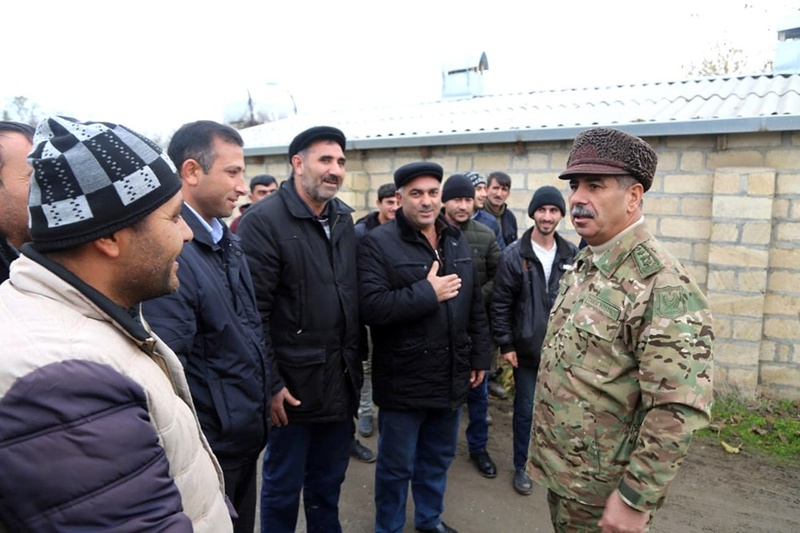 Hasanov then met with local residents in one of the villages in the Aghdam district. 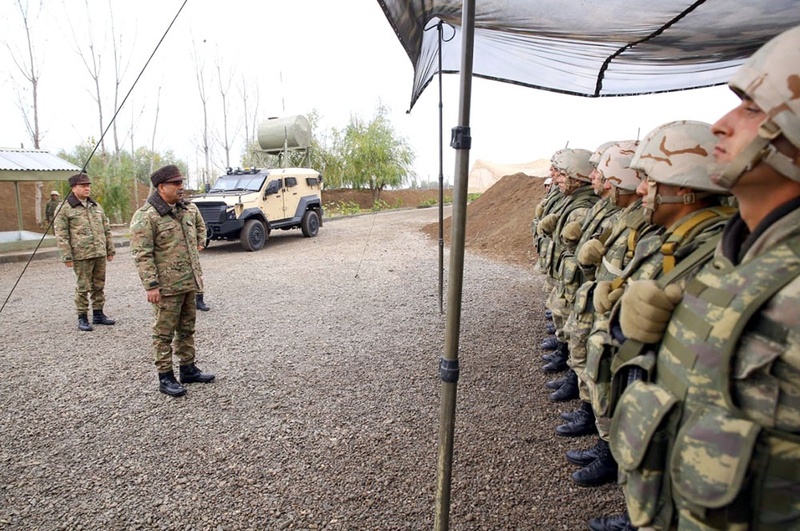 The minister talked to them about the organization of the defense of our human settlements and ensuring the security of the population. 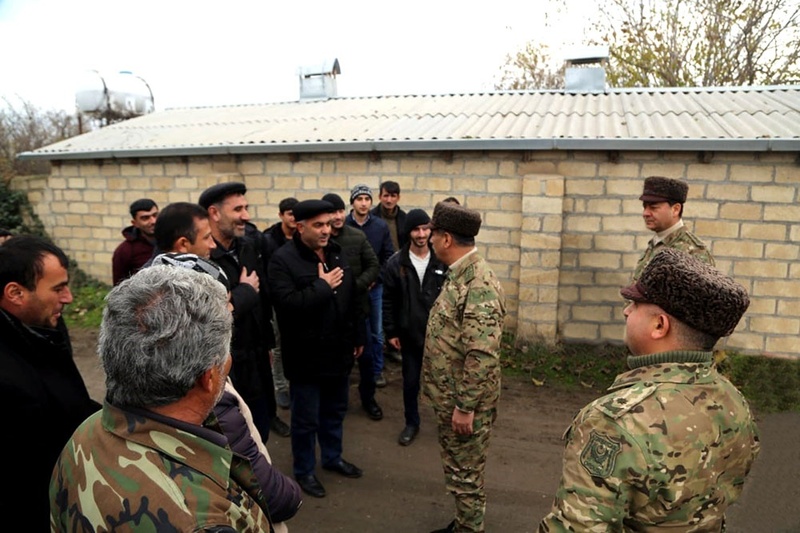 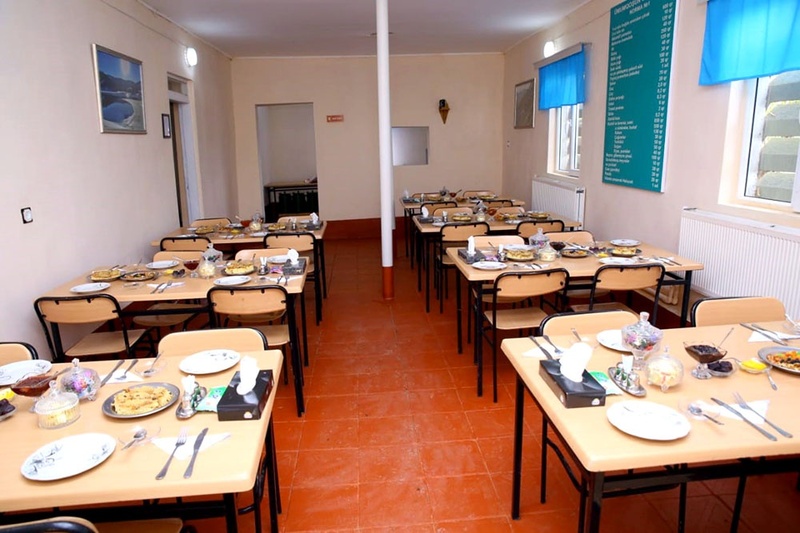 During the talks, the residents, expressing satisfaction with the conditions created here for the servicemen and the local population, asked the defense to convey their gratitude to the leadership of the country, in particular to Supreme Commander-in-Chief.